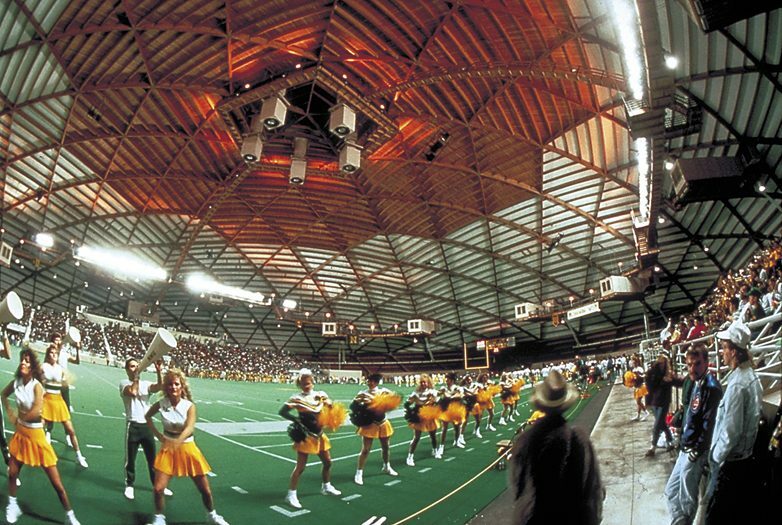 Whether a spectator or participant, being in the Superior Dome is an event in itself. 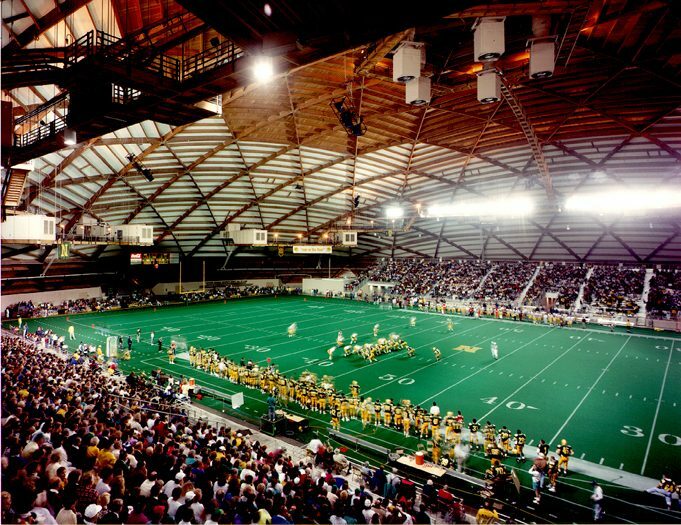 It is an opportunity to be in the world’s largest wood-domed structure at a span of 536 feet, and to observe how its mechanically retractable synthetic turf can overlay the track/court surface in preparation for field sports. 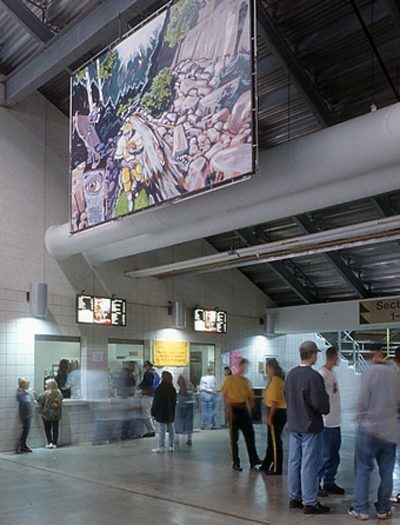 Because of its chameleon-like properties, the Dome hosts a multiplicity of sports including track and field events, basketball, soccer, football, tennis, and softball, as well as fairs, exhibits, circuses, graduations and meetings for up to 8,000 people. Creating a massive, enclosed, weather-protected environment that would be undisturbed by severe Upper Peninsula winters was an engineering challenge. 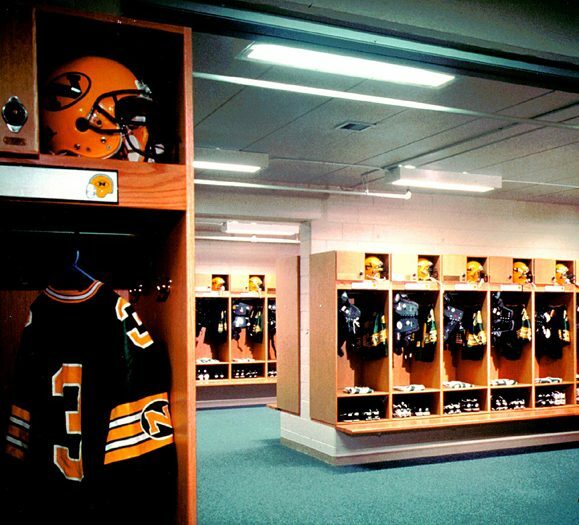 After extensive research, a single, laminated wood dome system was selected as the most cost effective and visually dynamic solution. 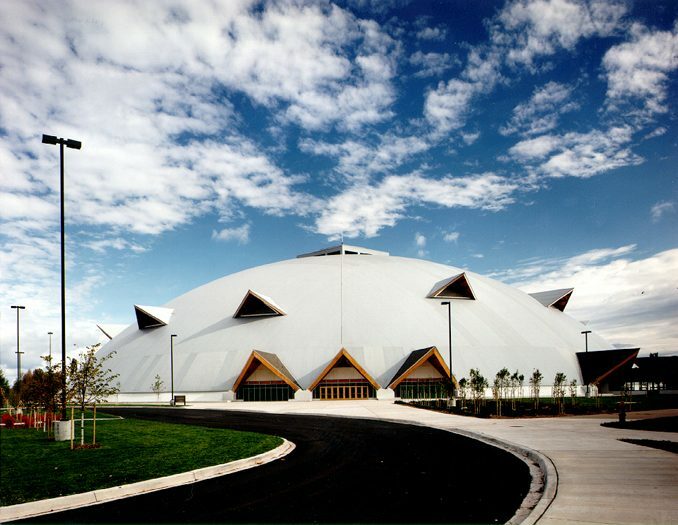 The design of the dome reflects sensitivity to its geographic location by incorporating various forms and materials indigenous to Northern Michigan. Inviting “chalet-like” entrances provide a balance to the dome’s imposing size. Internally, the natural wood roof structure is reminiscent of the area’s beautiful forests. 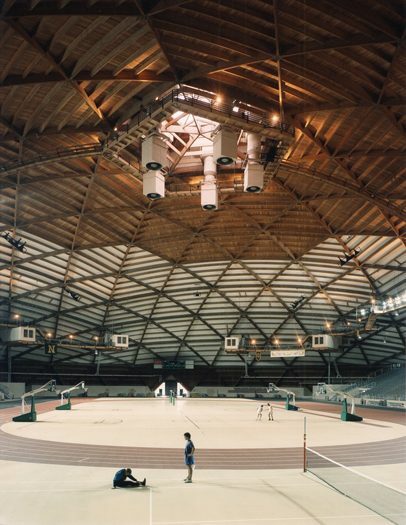 This facility is the world’s largest wood-domed structure, constructed with 781 Douglas Fir beams.